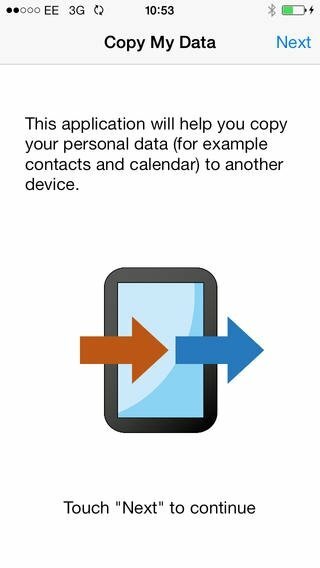 Transfer contacts and other data from an iPhone to other mobile devices with Copy My Data. With this app we'll be able to use a Wi-Fi network and forget about cables and complications when it comes to copying information between phones and tablets. 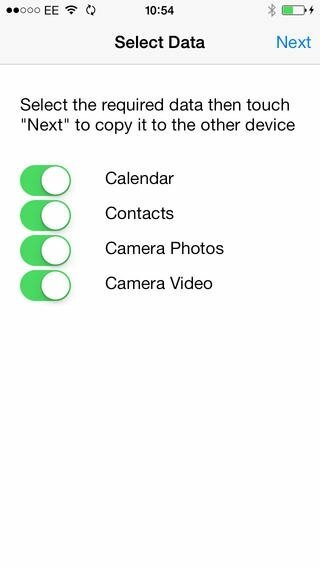 Copy My Data provides us with a simple and efficient system to copy our contacts, calendar, videos or photos from iPhone to iPhone, from iPhone to iPad or from iPhone to Android. You only need to make sure that both devices have the app installed and are connected to the same Wi-Fi network. You'll have no problems at all to make information compatible between iOS and Android. The process of copying data is very simple, but despite this fact, Copy My Data will guide the user during the whole operation reducing its difficulty as much as possible. Download Copy My Data right now and transfer your iPhone's data to other devices without further complications. Minimum operating system requirements: iOS 7.1.